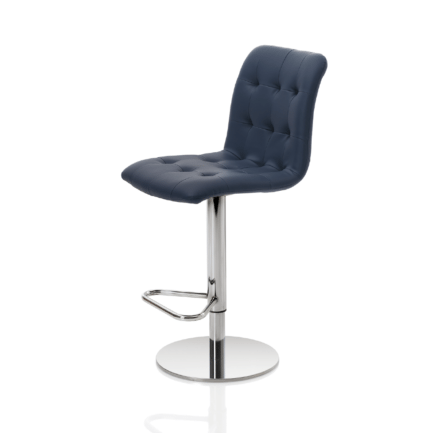 The Mustang Stool has a statement wood frame, which is available in a choice of finishes. The distinctive and slightly curved seat features cut-out handles, while a practical footrest adds comfort and interest to the frame. An optional leather seat pad in Melange Cognac is an optional extra.